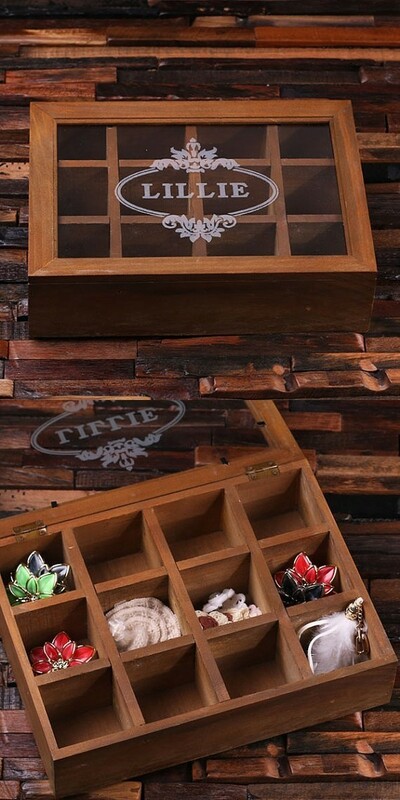 This glass-lidded wood organizer features 12 interior compartments to hold tea bags, sewing tools, or even small jewelry. Better yet, the glass lid may be engraved with the recipient's name inside the pictured oval crest design. PLEASE NOTE: Pictured contents are not included. Better yet, this wonderful gift now enjoys FREE SHIPPING in the U.S.